书籍简介: \\\\\\\\\\\\\\\\\\\\\\\\\\\\\\\\\\\\\\\\\\\\\\\\\\\\\\\\\\\\\\\\\\\\\\\\\\\\\\\\\\\\\\\\"Dave Corbett's book turns two simple ideas into a program for life-enrichment, that you can create a life expressly for yourself and that the so-called retirement years are the best time to do it. Drawing on a lifetime of work with people who were rethinking what they wanted and their direction, he shows how to do both those things. Be warned: If you read the book, you're going to be changed. But I think you'll like how you turn out.\\\\\\\\\\\\\\\\\\\\\\\\\\\\\\\\\\\\\\\\\\\\\\\\\\\\\\\\\\\\\\\\\\\\\\\\\\\\\\\\\\\\\\\\"
\\\\\\\\\\\\\\\\\\\\\\\\\\\\\\\\\\\\\\\\\\\\\\\\\\\\\\\\\\\\\\\\\\\\\\\\\\\\\\\\\\\\\\\\"Dave's book reveals a powerful and profound formula for crafting a genuinely rich life. If you agree that retirement is passé, and you are a lifelong learner and have a desire to make your life count in a deeply fulfilling way, you will love this book.\\\\\\\\\\\\\\\\\\\\\\\\\\\\\\\\\\\\\\\\\\\\\\\\\\\\\\\\\\\\\\\\\\\\\\\\\\\\\\\\\\\\\\\\"
\\\\\\\\\\\\\\\\\\\\\\\\\\\\\\\\\\\\\\\\\\\\\\\\\\\\\\\\\\\\\\\\\\\\\\\\\\\\\\\\\\\\\\\\"Healthy, fit, financially secure, and happy for another 40 years? Is there really that kind of gold over 'them thar' hills? 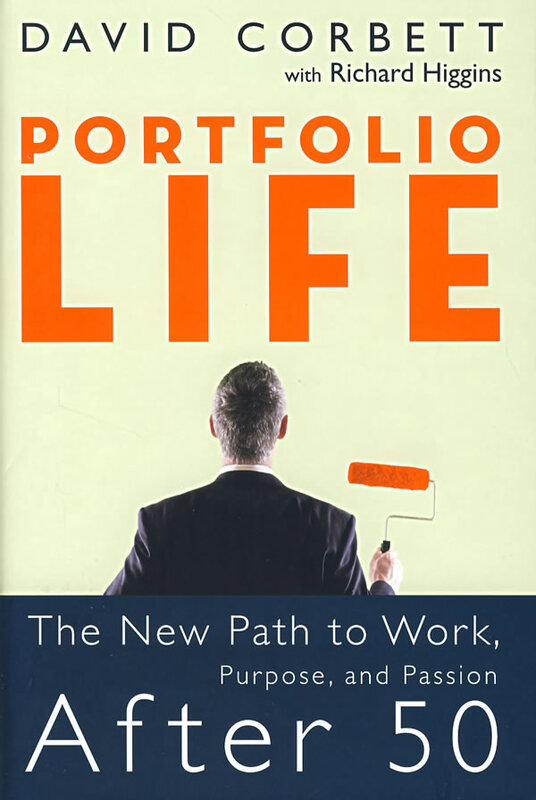 Yes, and Portfolio Life is the guide, leading boomers to a life path never before traveled by so many. Don't pass 50 without it.\\\\\\\\\\\\\\\\\\\\\\\\\\\\\\\\\\\\\\\\\\\\\\\\\\\\\\\\\\\\\\\\\\\\\\\\\\\\\\\\\\\\\\\\"
\\\\\\\\\\\\\\\\\\\\\\\\\\\\\\\\\\\\\\\\\\\\\\\\\\\\\\\\\\\\\\\\\\\\\\\\\\\\\\\\\\\\\\\\"This is the work of a wise, thoughtful author with decades of experience helping people be more successful in the next chapter of their lives. It will help you embrace change and explore the possibilities that come with an additional 20 to 30 productive years to be designed and lived on your own terms.\\\\\\\\\\\\\\\\\\\\\\\\\\\\\\\\\\\\\\\\\\\\\\\\\\\\\\\\\\\\\\\\\\\\\\\\\\\\\\\\\\\\\\\\"
\\\\\\\\\\\\\\\\\\\\\\\\\\\\\\\\\\\\\\\\\\\\\\\\\\\\\\\\\\\\\\\\\\\\\\\\\\\\\\\\\\\\\\\\"This timely book should be read by anyone of any age who wants his or her life to have meaning and purpose beyond the accumulation of money and things.\\\\\\\\\\\\\\\\\\\\\\\\\\\\\\\\\\\\\\\\\\\\\\\\\\\\\\\\\\\\\\\\\\\\\\\\\\\\\\\\\\\\\\\\"
作者简介：David Corbett is the founder of New Directions, Inc., on Boston's historic waterfront, which offers planning in career and post-career fulfillment to accomplished individuals. He speaks frequently on life transitions to audiences that include executive forums, business school groups, as well as legal, medical, and human resources professionals. Corbett is quoted often in national publications including The Wall Street Journal and The New York Times. Visit his website at www.newdirections.com.